While adidas holds the title for the lightest boot ever produced, Puma recently blew the doors of the boot world by adding only 2 grams and, somehow, releasing their boot as a standard release with a very impressive level of comfort and performance. As has been the case with most of the boot releases for every brand (outside of Nike), Puma has also given their boot a leather version. So, for those of us mere mortals who are unable to afford the thousands of dollars it would take every few months to snag every boot release, it is time to see which boot can stand above the other. First off, both boots are amazing. However, their similarities make up a rather short list. The soleplate on both boots is identical. A mix of bladed and conical studs adorn the boot, with the first four studs in the forefoot being conical, three blades in the midfoot, then two blades on the outside of the heel, and only one conical stud on the instep side of the heel. The three stud set-up in the heel is extremely odd, but it is very effective on any and all FG surfaces. SG surfaces are a no-go because of how quickly the studs accrue and hold dirt/mud, and AG surfaces will make either of these boots fall apart within one or two sessions. The differences in the uppers are almost night and day. Although both boots can provide a lightweight feel, the standard SL is the absolute closest thing to barefoot that we have ever seen. The leather version has a nice bit of padding and provides a slightly cushioned touch that we would expect from leather. With break-ins, the standard version definitely starts to shine a bit before the leather. Because of how thin the upper is on the standard version, the boot quickly shifts and shapes to your foot right out of the box. With the leather version, the boot comes out a bit stiff and takes a session or two before the leather starts to soften up and get comfortable. 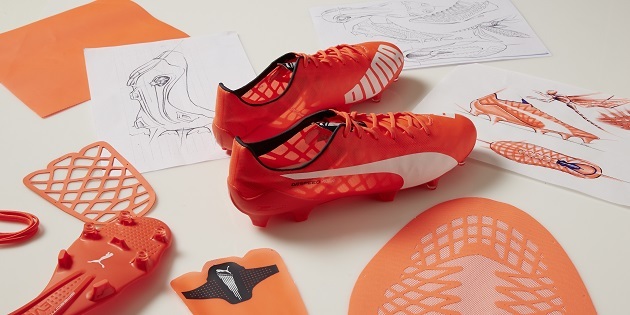 This is probably down to Puma wanting the boot to be able to retain its shape while in the box despite the leather being really thin. After break-in, the standard boot stays surprisingly comfortable for something that is supposed to be stripped down to the bare bones. However, it is does get out-shined by the leather SL simply because of how enjoyable the ride in the leather version becomes. 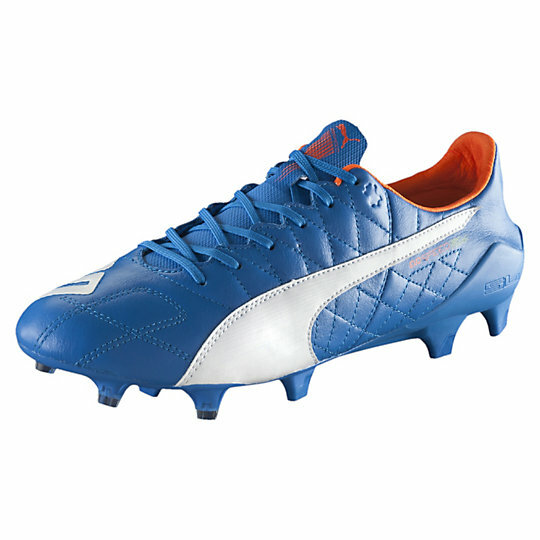 You also can up the comfort by switching to the comfort insoles that Puma includes with the boots, but either insole works well with the boot. In terms of play on the ball, it really comes down to the feel that you are looking for. For anybody hunting every touch on the ball to be completely unhindered, the standard SL is unlike anything else you’ve seen out there. The closest thing I’ve been able to compare the upper to for everybody to get a decent idea is that the upper feels like a softer, more mold-able wax paper. With the leather SL, every moment on the ball is an absolute dream. Companies have been attempting to find a blend of speed and leather for years, and this is the best the market has seen yet. A thin feel while still getting the padded warmth that only a leather boot can provide, and a feel that will see you demanding the ball at every opportunity. 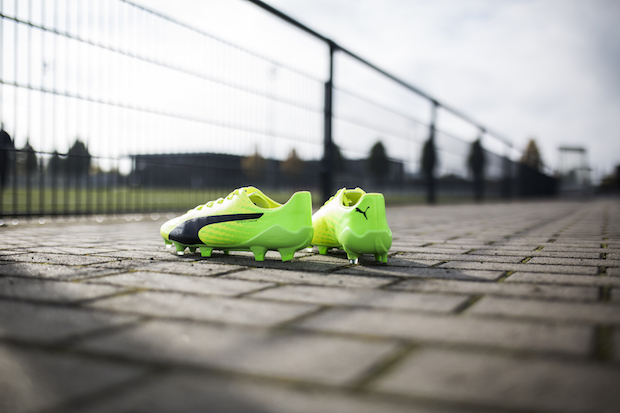 The durability aspect does have a winner, but neither boot truly shines in this arena. 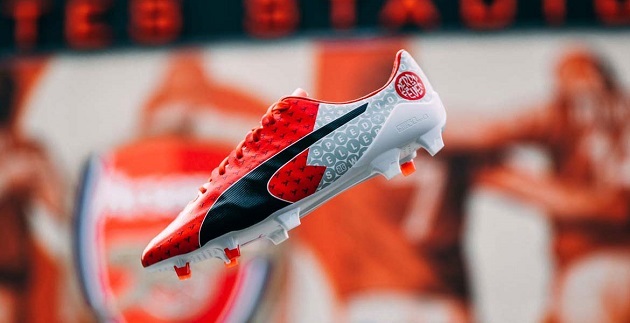 The standard SL comes with a warning on the soleplate that the boot MAY last UP TO ten games. For me, I have gone beyond the ten games, but Hunter found that his pair barely made it past six. The durability with this version is something that definitely puts the risk in the hands of anyone snagging the standard version. For the leather version, we only think that it would have early durability issues if you were the type of player that does a lot of moves that involve dragging your foot. However, unlike most boots that we typically test, we don’t foresee either of these boots lasting longer than one season. 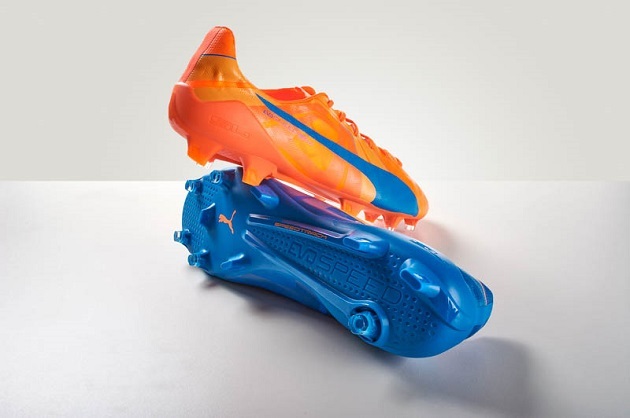 Both of these boots are incredible performers that show why Puma has one of the best boot stables in 2015. The standard SL can provide an experience unlike anything that you have worn before, and, while it is not the first boot to get labeled to have a “barefoot feel,” it is definitely the boot where the label feels the most appropriate. The leather SL is currently the boot that I am having the hardest time moving on from, and any player lucky enough to snag a pair will be delighted with every moment they spend wearing them. 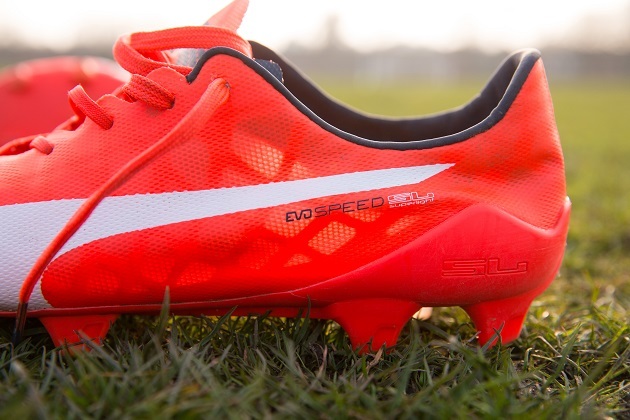 Go check out SoccerPro’s collection of Puma evoSPEEDs.